Astaxanthin the Carotenoid that Makes a Difference! WOW! So why aren’t we hearing more about this amazing ingredient from our allopathic colleagues? I have saved a document of all the Fuju Health Sciences studies and you can click on the link to access more information than shown on this web page. Bookmark this page to see new links as they come to hand. On 12 November 2013 NaturalNews brings us information on Astaxanthin’s ability to help reduce oxidation, DNA damage and liver cancer formation. I keep saying WOW – what a fantastic ingredient this is! A study conducted by researchers from India's National Institute of Pharmaceutical Education and Research found that astaxanthin not only can reduce oxidation of the liver but can actually prevent DNA damage and the early stages of liver cancer development. Click into this link to learn more about this amazing antioxidant. Believed to be nature’s most powerful antioxidant! Listen to Dr Jim Stringham speak about the power of Lutein to the brain. “ A.. is one of a group of natural pigments known as carotenoids. In nature, carotenoids are produced principally by plants and their microscopic relatives, the microalgae. Alleviates symptoms in patients with H. pylori (pre-ulcer indigestion). Protects cells and mitochondrial membranes from oxidative damage, thus protecting the cell from oxidative damage. Boosts immune system by increasing the number of antibody-producing cells. Prevents the initiation of cancer cells in the tongue, oral cavity, large bowel, bladder, uterus, and breast. Inhibits lipid peroxidation that causes plaque formation, thus reducing risk of cardiovascular disease. Alleviates stress and may assist in neurodegenerative conditions such as AMD, Alzheimer's, Parkinson's, ALS. Protects the eyes and skin from UV A and B damage by quenching singlet and triplet oxygen. I again re-iterate why aren’t we hearing more about this? This aspect interested me personally as I know that with my continual use of my computer that my eye health has deteriorated over the past few years. I am determined to find a way to reverse this loss of vision. I don’t have any illnesses associated with my eyes just finding it more difficult to read small print – which I find quite frustrating! 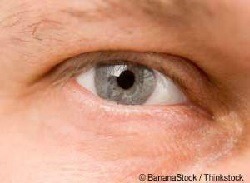 On 23 November 2010 Dr Mercola published an article on “The Most Powerful Nutrient Ever Discovered for Eye Health.” He advises that this is in a league of its own. He outlines the main differences. Is by far the most powerful carotenoid antioxidant when it comes to free radical scavenging: it is 65 times more powerful than vitamin C, 54 times more powerful than beta-carotene, and 14 times more powerful than vitamin E.
Is far more effective than other carotenoids at "singlet oxygen quenching," which is a particular type of oxidation. The damaging effects of sunlight and various organic materials are caused by this less-stable form of oxygen. Astaxanthin is 550 times more powerful than vitamin E and 11 times more powerful than beta-carotene at neutralizing this singlet oxygen. Crosses the blood-brain barrier AND the blood-retinal barrier (beta carotene and lycopene do not), which has huge implications for the health of your eyes. It is soluble in lipids, so it incorporates into cell membranes. It is a potent UVB absorber. It is a very powerful natural anti-inflammatory. No adverse reactions have been found for people taking astaxanthin. It is virtually impossible to obtain the recommended daily amount of astaxanthin from diet alone because there are only two prime sources: microalgae and sea creatures that consume the algae (such as salmon, shellfish, and krill). I hope you have enjoyed reading about this amazing carotenoid.